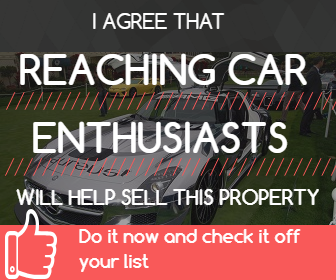 CarProperty.com for the real estate needs of car collectors / 16 plus Hangar Garage for your Cars, Airplane or other toys! 16 plus Hangar Garage for your Cars, Airplane or other toys! Garage Description 59 x 57-foot airplane hanger, 45 ft wide x 14 ft tall door and 6 car tandem finished garage, radiant heat controlled.